Agree Terms: To be provided upon inquiry. Number of Units: 25 available Units in first round. Harness Training Pty Ltd (Harness) is a Registered Training Organisation (Linked through RTO#40521) that provides various accredited training courses, programs and services in Australia and abroad. Harness has been in business for 12 years and has a strong history in delivering quality, customer focused training to those employed in high risk and safety critical occupations. Employers select Harness to train their employees because of our focus on safety messaging, technical transfer, innovative approaches and ability to achieve higher levels of knowledge retention amongst trainees. 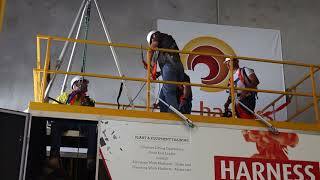 Harness is focused on competency, safety, induction and technical skills training. Harness has a strong brand and proven track record which a Franchisee will gain significant rewards from association with. Great history of compliance, strong business ethics and reputation underpinning growth. High calibre training skills, strong integrity and business ethics. Harness is seeking motivated and enthusiastic, business minded Heavy Industry Trainers and Assessors who want to be their own boss.